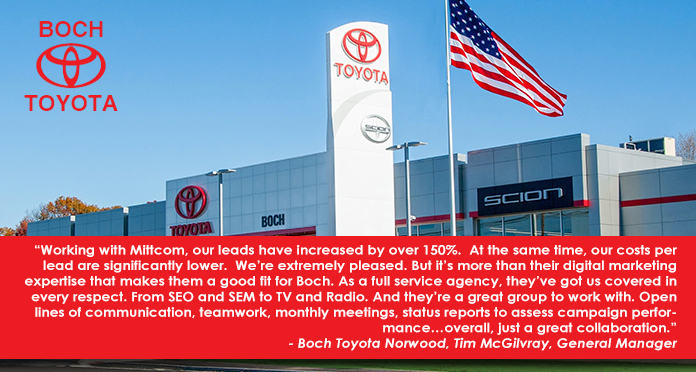 Boch Toyota Norwood began working with Mittcom Auto in 2004. Their goal was to build this location into one of the country’s largest Toyota dealerships. Which we have been able to achieve. The strategy was simple, create a campaign that reached as many consumers as possible through multiple consumer touch-points. #3 Toyota Dealer in the U.S.